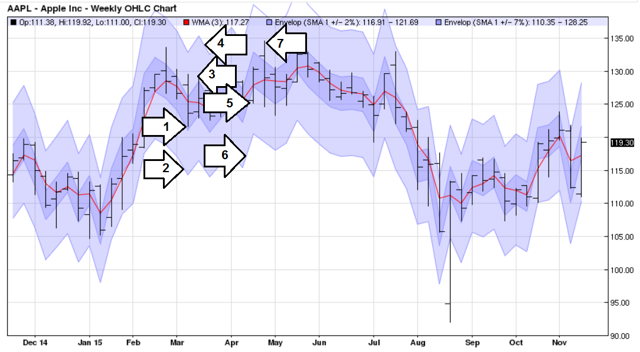 Current extreme economic fundamentals will generate major market moves. This report introduces fully disclosed automated trading strategies to help you capture them. Featured markets, Apple (AAPL), JP Morgan Chase (JPM), Google A (GOOGL), Swiss Franc (CHF), Eurodollar (EUR), Japanese Yen (JPY), Gold (GC), Crude Oil (CL), S&P 500 Mini (ES). Each of the 9 markets trades 6 long/short fully automated systems, 3 Momentum and 3 Range trade programs. I've included full disclosure of all systems, all supporting historical price data, every order generated 2007-2016 enabling you to verify past performance and monitor trades moving forward. By diversifying not only the markets you trade but the way you trade them you can increase return on risk and softened up the swings in your equity curve, in up or down markets. $5,107,417 cumulative net gain, no compounding of positions, withdrawing all profits annually. -$41,738 greatest net drawdown from highest high to lowest low prior to recovery and new equity high. Links to full disclosure of all trading methodologies in this portfolio. I've included all supporting historical price data, every order generated, every trade entry, offset, profit, loss enabling you to verify past performance and monitor trades forward. Fully automated trading allows me to trade 54 different systems in 9 markets. Each of the 9 markets trades 6 systems. 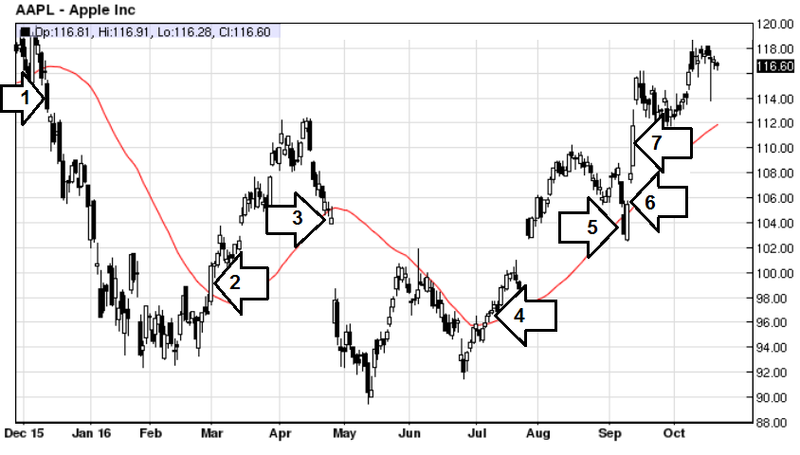 3 momentum traders, 1 short term, 1 intermediate and 1 longer term. 3 range traders, 1 short term, 1 intermediate and 1 longer term. Momentum traders automatically enter the market with price action long as a market aggressively rallies or, short with an aggressive sell off. Momentum traders believe that there is a higher probability of capturing a piece of an aggressive move already in progress than the market pulling a 180 after aggressive price action engages, think of it as taking a little out of the middle. Using the chart below to simplify this concept , above the red line you're long, below the red line short. Range traders attempt to sell a market when pushed above fair value or buy a market when pushed below fair value. Using the chart below to simply this approach you'd trade the inside channel, the outside channel represents where you would be placing your protective stops. All strategies disclosed in this report are simple, all use constants for the life of the program 2007-2016, all have a maximum of 5 parameters. Keep your trading systems simple. Diversify the markets you trade and how you trade them. Apply your systems to multiple markets that have experienced up, down, sideways, volatile and non volatile price action to determine the durability of the system and the distribution of profits over the life of the program. 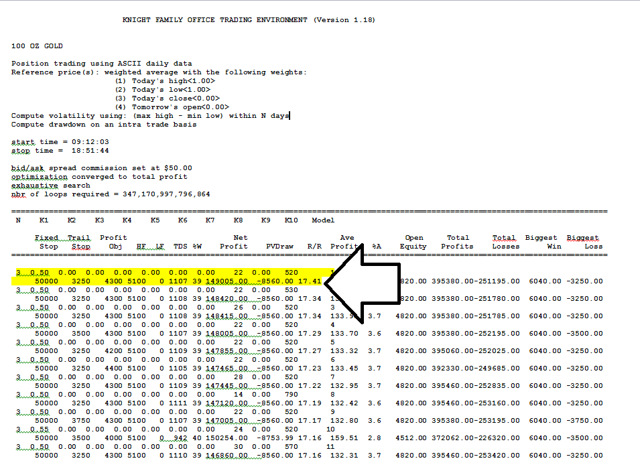 Always test your systems on out of sample data prior to trading them live. Example, do your optimization to develop your system using an "in sample" data period from Jan. 1995 to Dec. 2004, once the system is defined trade it on "out of sample" data from Jan. 1990 to Dec. 1994 and Jan. 2005 through Oct. 2016. Compare in and out of sample results. Define risk tolerance for each system prior to trading it. 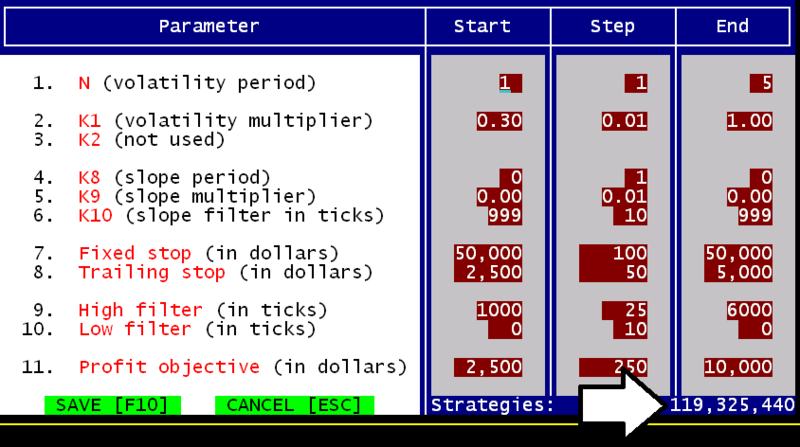 Example, if the maximum life of program drawdown increases by 30%, suspend trading that system. Define risk tolerance for the overall allocation prior to trading it. Example, if the maximum life of allocation drawdown increases by 30% suspend the allocation. Always have multiple backup systems for each market and revised allocations on deck. Always maintain your pre defined risk tolerance levels for both the individual systems and the overall allocation. Always maintain your trading discipline. Using the data for gold from January 1986 through December 2006 I'm going to develop two 100% objective fully automated trading systems. The first, a simple system using a maximum of 5 parameters,total possible combinations of the 5 parameters 119,325,440. The second 8 parameters, expanding the same 5 parameters in system 1 with three additional parameters in an attempt to make the system "better". Total possible combinations of the 8 parameters 347,170,997,796,864. Then match "in sample" performance (1987-2006) with out of sample "walk forward" performance (2007-2016). In the case of model 1 the out of sample performance (2007-2016) was superior to in sample performance (1987-2006). Model-1 spreadsheet including all supporting historical price data, every order generated (2007-2016) and full disclosure of this automated trading methodology. 1) I've varied the number of data days from 1 to 10 in increments of 1 day. 2) Volatility multiplier from 0.30 to 3.00 in increments of 0.01. 4) Slope period from 10 to 90 days in increments of 2 days. 11) Profit objective $1,500 to $10,000 in increments of $100, (slope can also make objectives dynamic to trend and volatility). 119,325,440 combinations in model 1. A return on risk of 17.41 for an individual system is about as good as it gets. For model 2 the out of sample performance RR = 1.72 was terrible relative to the in sample performance RR = 17.41 to 1. Why?, because I curve fit the system on the data from 1987-2006 using the best set of parameters out of 347 trillion+ possible combinations. 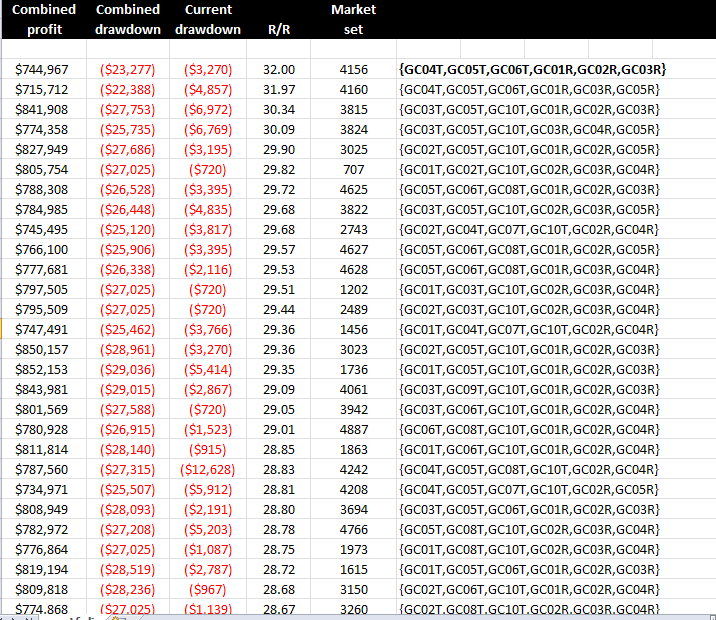 Model-2 spreadsheet including all supporting historical price data, every order generated (2007-2016) and full disclosure of this automated trading methodology. Lesson, out of sample performance will give you far more realistic performance expectations. Testing your systems "out of sample" on a minimum 5 years of data is essential. If you don't test your methodologies "out of sample" your just kidding yourself as to what you can expect from that system and risk exhausting all funds because you weren't prepared for the inevitable drawdowns that will occur trading any methodology technical or fundamental. Not diversifying your trading strategies in the markets you trade. Many traders stop after they develop one system or fall in love with one methodology; experience will prove this is the wrong procedure to follow. For the additional systems qualify them using the same procedure of in and out of sample testing. 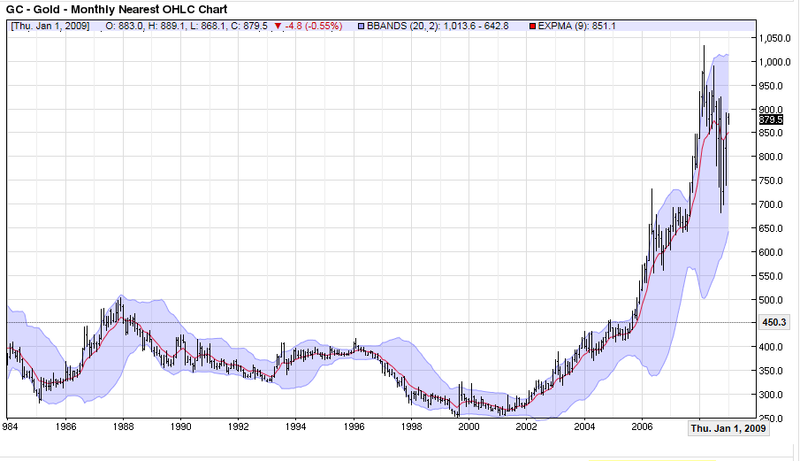 Try to find a minimum of 6 trading strategies that have performed out of sample on Gold over a 10 year period. Linked here is the spreadsheet containing all 63 combinations for the 6 systems listed above. The objective is to ensure all gains were not generated in a given period or during specific market conditions. After you've found 20 to 100 systems that work out of sample you need to define an allocation to trade. In this allocation I've covered stocks, metals, energy and currencies. If you're trading 9 markets, 6 systems in each market there are a total of 54 systems active, defining an allocation can be challenging. 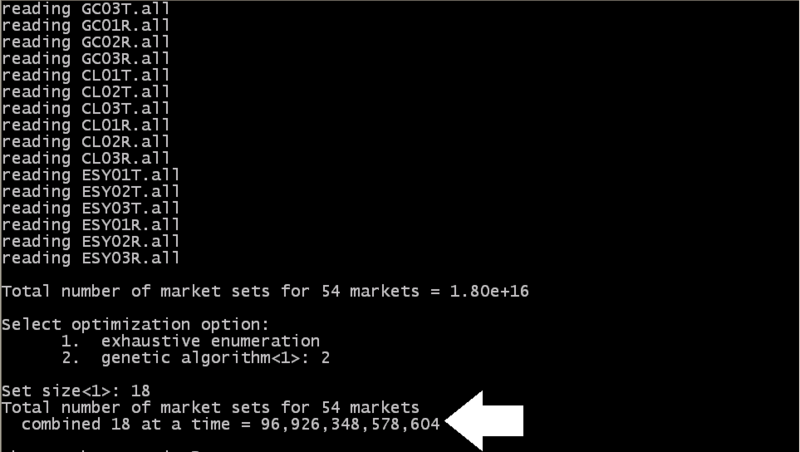 Lets assume you wanted to trade the best combination of 18 systems out of the 54 you have on deck, the total number of market sets combined 18 at a time = 96,926,348,578,604, doing an exhaustive enumeration could take over 70 years. 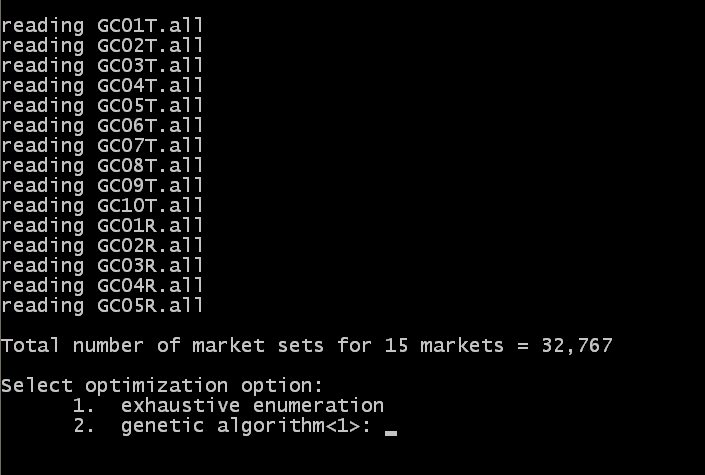 Genetic algorithms have to come into play, if programmed correctly you should be able to achieve a portfolio optimization efficiency of better than 80% taking several minutes rather than the 70+ years an exhaustive enumeration would require. Many trade desks can fully automate any 100% objective trading system eliminating your daily responsibility of canceling and replacing orders. Most of these desks provide a daily summary of the cumulative total for each system in the allocation enabling you to match your actual performance to the system performance to ensure the system(s) are being traded by your clearing firm exactly as represented. Monitor drawdowns for each individual system to quickly identify any system that is problematic enabling you to eliminate that system and replace it. 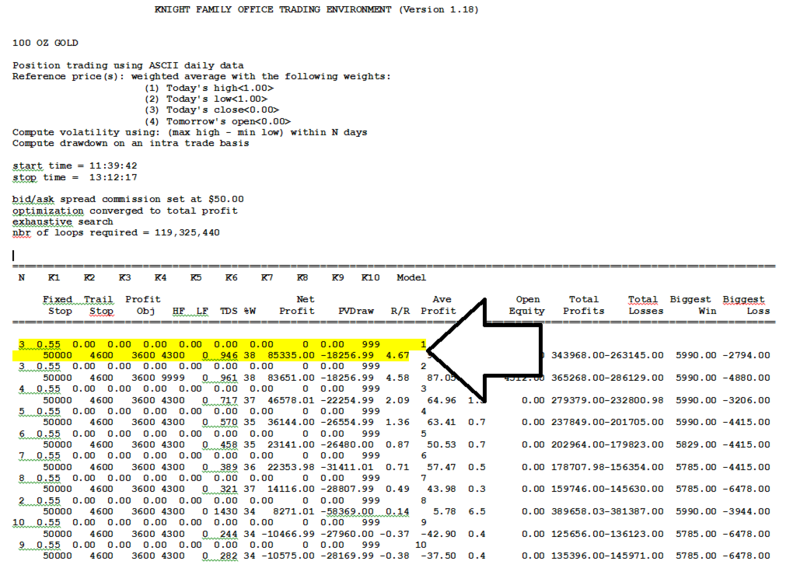 Cumulative net gain S/B +$142,418.14 net of $50.00 deducted for bid/ask spreads, order execution slippage and all fees per roundturn trade. Automated trading systems eliminate emotion, react far faster than we would making a subjective trading decision but they can and do fail. From personal experience the difference between successful automated trading and failure is how you diversify, qualify your systems and prepare for any potential outcome good or bad. If you're trading 54 different systems in 9 markets if one fails it's nothing more than a bump in the road not the financial hemorrhage you may experience when you're trading 1 to 3. Lesson, diversify not only the markets you trade but the way you trade them. If the maximum drawdown increases by 30% growing from -$16,303.02 to -$21,193.94 all trades for GC01T will be suspended from the allocation. In the case of gold I track the daily performance of 15 objective trend and counter trend mythologies in addition to the ones I trade, the monthly performance of over 100. Total possible combinations of the 15 systems, 32,767. In less than 3 seconds an exhaustive enumeration can be generated ranking the 2007-2016 performance and return on risk for all 32,767 possible combinations of the 15 systems. Ranked by return on risk (R/R) in descending order. In the event GC01T fails I could revise my gold allocation eliminating GC01T the same day as the drawdown violation occurred. I could replace GC01T, GC02T, GC03T with market set 4156 on the report above, trading GC04T, GC05T, GC06T. 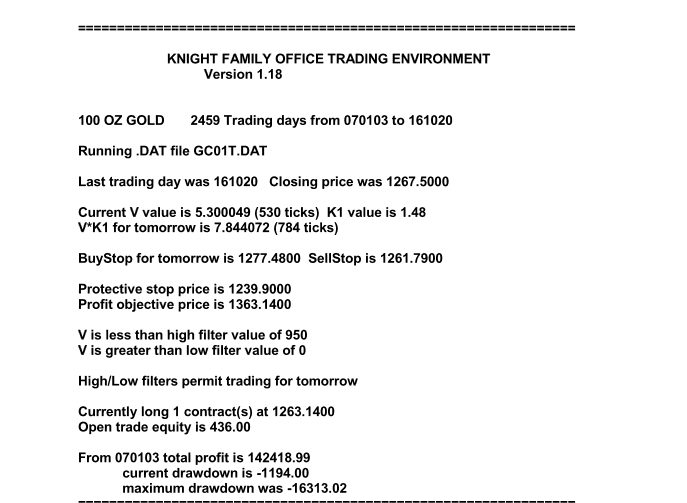 Once my instructions are sent to my desk, my desk confirms the automated order entry platform has been revised and all current gold positions are consistent with the revised system allocation for gold. Qualify your systems, define your risk tolerance, maintain your discipline. The purpose of these reports is to motivate all of us to share solutions to the challenges of making money during the coming major market moves generated by the current extreme fundamentals. 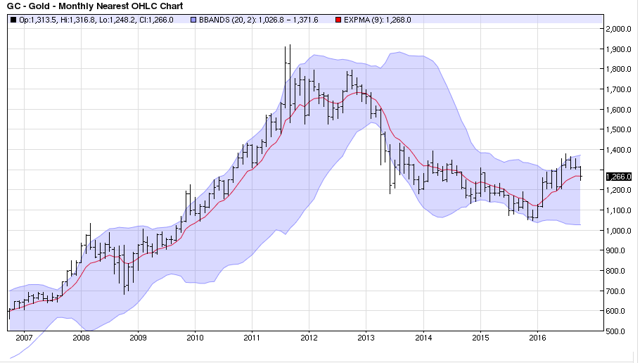 If interest is high enough and commentaries are objective and productive I'll expand my reports to International markets and additional trading systems. I've been a professional trader and run a family office in Tortola, British Virgin Islands for the past 20+ years, zero income, corporate and inheritance tax and would like to keep it that way. Because of the potential tax implications I do not manage US accounts or sell advisory services to US clients. I do however manage funds for a limited number of qualified non U.S. investors. I may at times for my own accounts or for the accounts I manage have positions on that could be contrary to the ones mentioned in my reports. Disclosure: I/we have no positions in any stocks mentioned, but may initiate a long position in LONG AND SHORT IN ALL over the next 72 hours. I wrote this article myself, and it expresses my own opinions. I am not receiving compensation for it (other than from Seeking Alpha). I have no business relationship with any company whose stock is mentioned in this article.